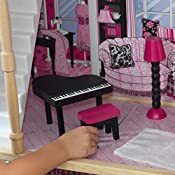 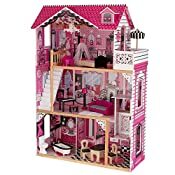 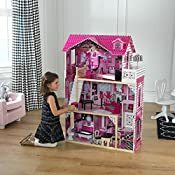 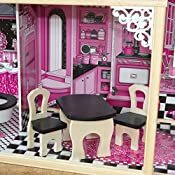 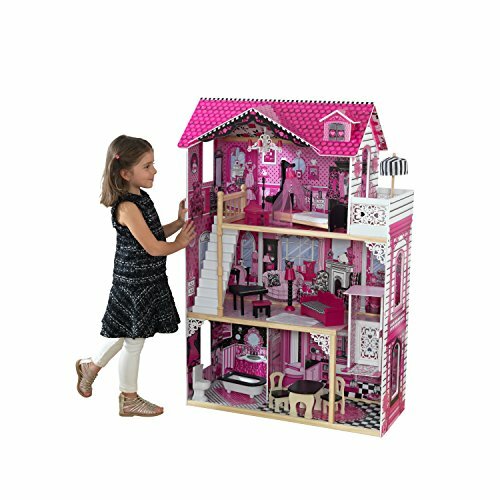 With a modern pink and black design, our KidKraft Amelia dollhouse is a fun and stylish place to play. 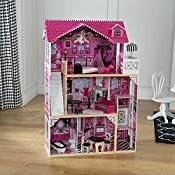 With three levels and standing nearly four feet tall, this dollhouse offers plenty of space for multiple children to play together. 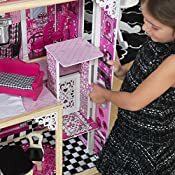 The included 15-piece accessory kit offers endless decorative possibilities for 12-inch fashion dolls.